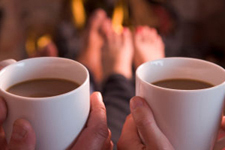 Larry & Sons offers complete heating services to keep your home warm and toasty during the harsh Maryland winters. A good heating system is essential, and Larry & Sons provides installation, replacement and maintenance services for all types of heating systems. We provide you with our skilled technicians who are trained to work on a variety of systems including oil furnaces and boilers. With over 50 years of expertise in the field, you can rest assured that your heating is in good hands with Larry & Sons. Larry & Sons wants to help our customers find the best heating system for their homes. That’s why we will be there for you through the heating installation process from beginning. Our expert heating technicians can assess your home’s heating needs, and make the proper recommendations for which heating system is right for you. Whether it’s one of our quality heat pumps, furnaces or geothermal systems, Larry & Sons has many installation options to keep your house warm for many winters to come. When it comes to heating systems, even the smallest problem that goes unnoticed can lead to disaster. And a home without heat is not a comfortable home at all. Larry & Sons wants to ensure that your heating system is working at its full capacity, and prevent any future damages from happening. Our professional heating technicians are always available to fix any heating system repairs no matter how big or small. 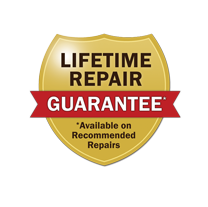 Our goal is to save you money and stress in the long run by repairing your current heating problems before they turn into future disasters. In order to keep your heating system healthy and working at its best, Larry & Sons recommends getting annual visits ensure your system is running properly. With our heating system maintenance services, our skilled technicians inspect and diagnose your home heating system for any undue signs of wear. During these annual maintenance checkups, our technicians will also clean out any sediment that may have built up over time and could cause your heating system permanent damage. We also make sure that your oil furnace or boiler is working safely and efficiently. No matter what type of home heating need you have, big or small, Larry & Sons provides the right professional services to keep your system running smoothly. Give us a call today to learn more about how we can help keep your home warm and toasty all winter long.